The winter when I looked forward to in Asahikawa came. 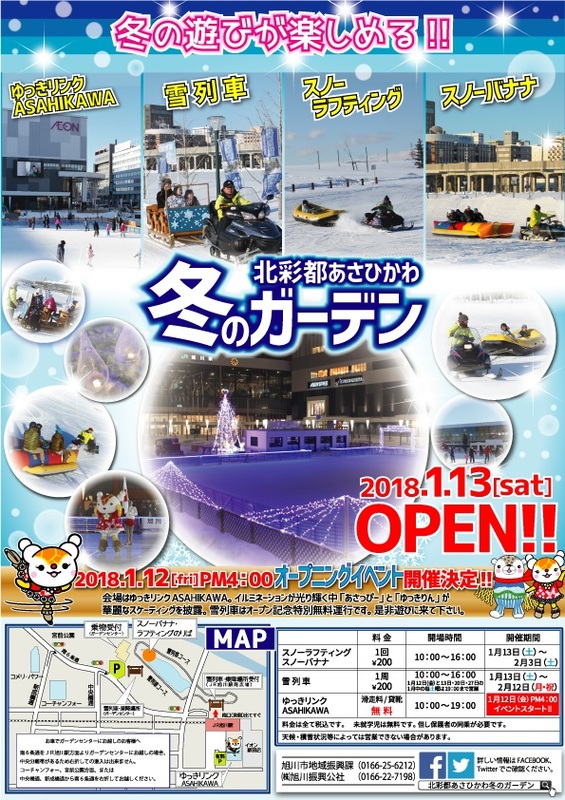 Asahikawa has great places for the events in winter and winter sports. Many winter events will be hold in Asahikawa, and they decorete the cold winter. Don’t miss Machiakari Illuminations, ice sculptures and snow sculptures. place Each street from Asahikawa Station (Miyashitadori and Kaimono-Koen Street) to the roundabout, Midoribashidori etc. Asahikawa is one of the most cold regions in Hokkaido, which is suitable for winter sports. One surface of the snow, a waste only look! Can participate from adults to children, there are a lot of fun to play in the winter unique! ※ different opening day by tour content. Content Snow season only! Asahidake fumarole tour! ! ※ due to weather conditions, you might like Opening period is subject to change. When you come, please check with each facility. gloves, please have the minimum of winter clothes such as boots.